Michelle Karr-Ueoka is the pastry chef and co-owner of MW Restaurant. 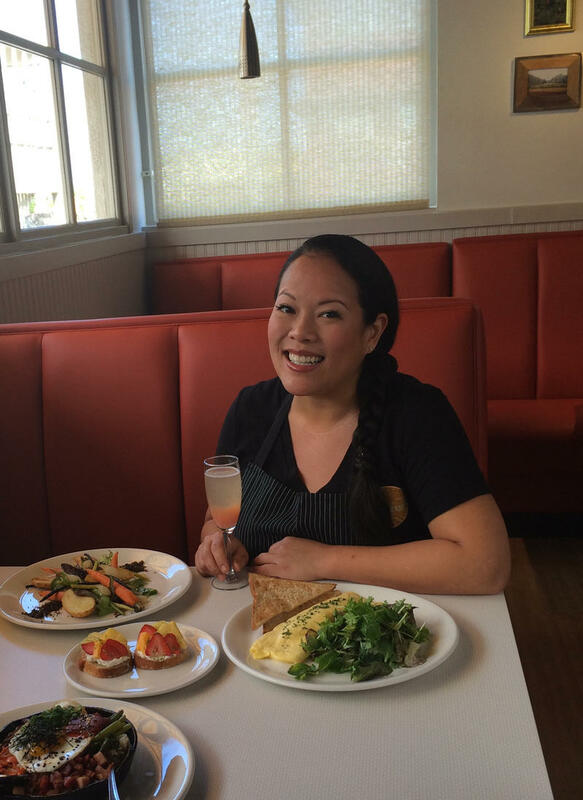 Lee Anne Wong is the chef and co-owner of Koko Head Cafe in Kaimuki. Pig and the Lady pastry chef Rachel Murai plates a slice of pumpkin pie. Several women are preparing a special meal highlighting female chefs and farmers in Hawai‘i. In the male-dominated restaurant industry, women tend to be under-represented, especially when you consider leadership positions like executive chefs and restaurant owners. But as HPR’s Molly Solomon reports that may be changing…slowly. You can find more information on the event, "Cool Women, Hot Food, #MakeItHappen" here. The event takes place tonight, Monday March 2 from 6:30 - 8:30 p.m. at Cookspace Hawaii. For more information, call 695-2205. Honolulu's only Hispanic market is up for sale. Store owner Martha Sanchez Romero moved to the islands from Cuernavaca, Mexico in the 1970s. Soon after, she fell in love with a local Korean boy and decided to stay and raise a family. Along the way she opened her Honolulu storefront and has created a loyal following. HPR’s Molly Solomon has more. 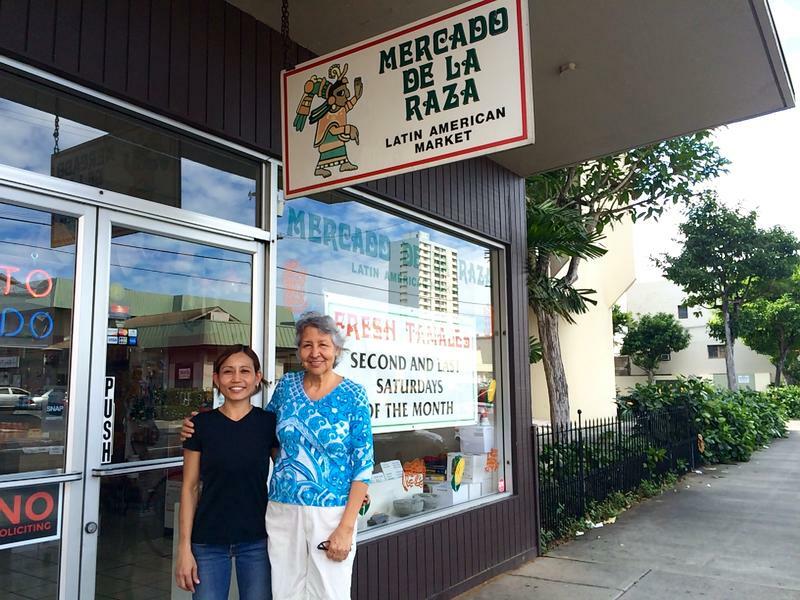 Any business-savvy or entrepreneurial folks who are interested in taking over Mercado de la Raza can give Martha a call at 593-2226. A movement to make better use of food resources already growing in our cities is taking root in the islands. It’s called urban foraging. The goal is to bring more wild foods back into our diet. HPR’s Molly Solomon has this report from the streets of Honolulu. 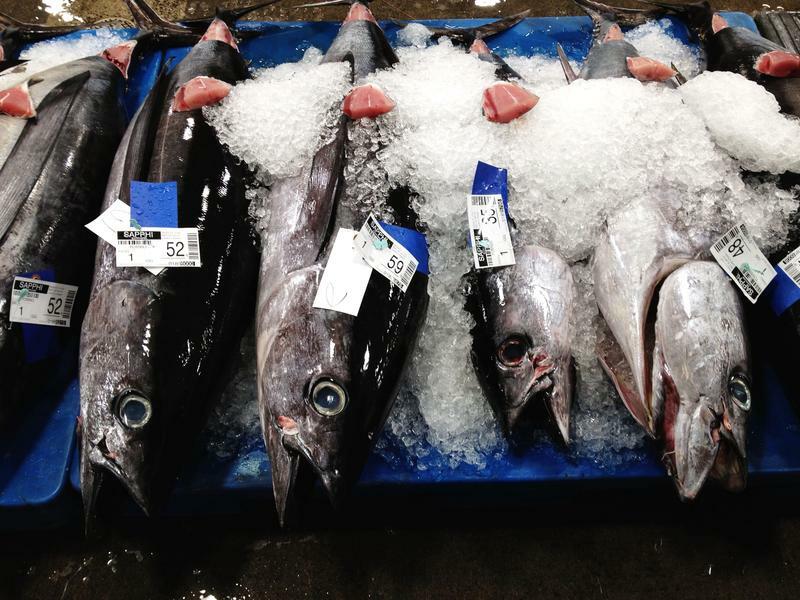 Hawai‘i could see its first community supported fishery as early as next year. The concept is similar to community supported agriculture, where customers bypass the supermarket and pay farmers directly for a weekly delivery of fresh produce. Now, as HPR’s Molly Solomon reports, that same idea is making the leap from land to sea.